Front-end Spam & Pending views have a few layout glitches. There is a gap above "This post is currently pending." and "This post has been flagged as spam." Author labels like "Plugin Author" overlap the other meta info in the left column. @mapk: Can you look at this? 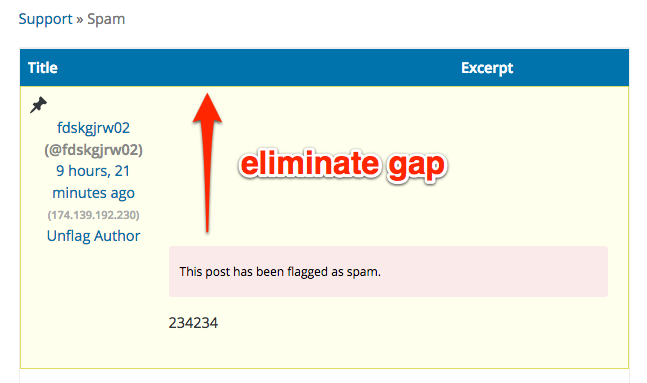 Support Theme: Remove a gap above "This post is currently pending" and "This post has been flagged as spam". Support Theme: Add a top margin to reply author meta in post excerpt views to prevent overlapping with "Plugin Author" and other badges. #2310 was marked as a duplicate. Support Theme: After , only set notices to display: inline-block in post content. This prevents them from being misaligned if there are no topics or replies to display. 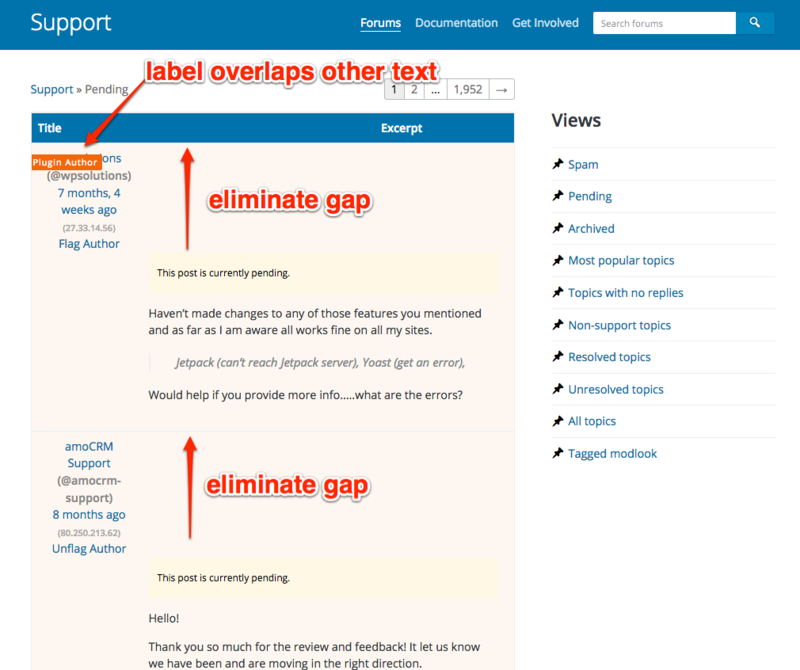 Support Theme: Add a top margin to reply author meta in search results to prevent overlapping with "Plugin Author" and other badges. Support Theme: Revert  and , it was a workaround that is no longer needed after the changes in . This makes the appearance of notices in post content consistent with notices used elsewhere, which are displayed in full width.